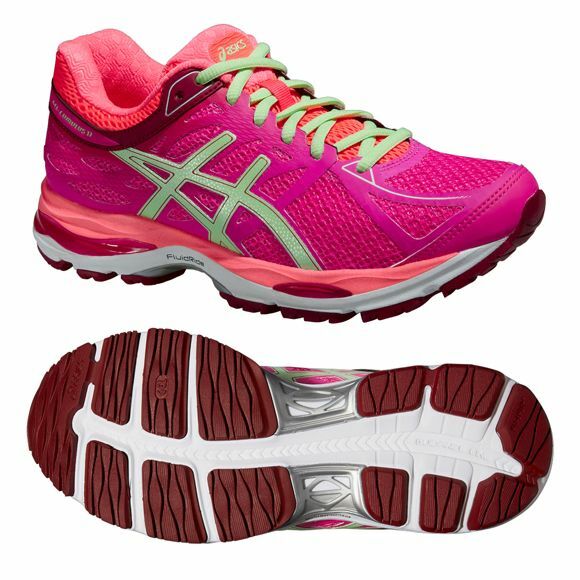 Durable, lightweight and comfortable, the Asics Gel-Cumulus 17 ladies’ running shoes are an upgraded version of these very popular trainers. These cushioning shoes weigh 266.5g (9.4oz) and encourage smooth running thanks to the excellent FluidRide technology and the AHAR+ outsole. Comfort comes from the gender specific cushioning, the full-length double-density midsole, the shock-absorbing gel cushioning system and the ComforDry™ sock-liner. More natural and efficient gait is fostered by the Impact Guidance System, the Guidance Trusstic System and the Guidance Line® and vertical flex grooves in the outsole. If running in dark conditions, 3M Reflective material will make you more visible. for submitting product review about Asics Gel-Cumulus 17 Ladies Running Shoes 2015.